Don't miss this wonderful home with a serene green belt setting on a cul-de-sac street. 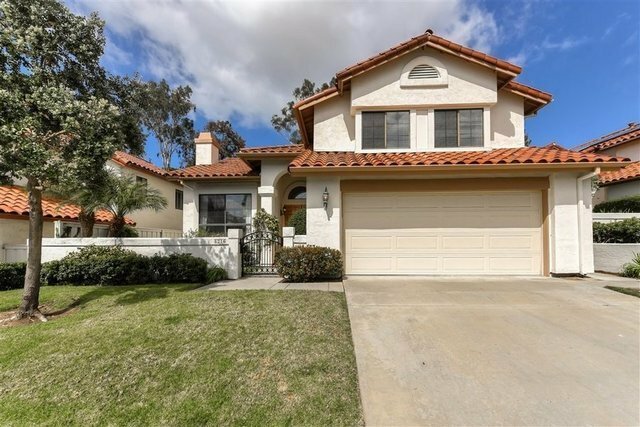 Featuring 4BR/3BA, with a bedroom & full bath downstairs, & a spacious 2434 sq ft, this home has a remodeled kitchen with new cabinets, granite counters & new appliances. The yard is very inviting with a used brick patio & mature plantings overlooking the lovely open space. The location is terrific in the popular gated development of Valencia in La Jolla Colony & walking distance to parks, stores & other conveniences.